Tips to Transition an Outdoor Cat to an Indoor Cat - Petpav - Your Online Magazine for All Things Pet! With the summer heating up, you might want to transition your outdoor cat to become an indoor cat. 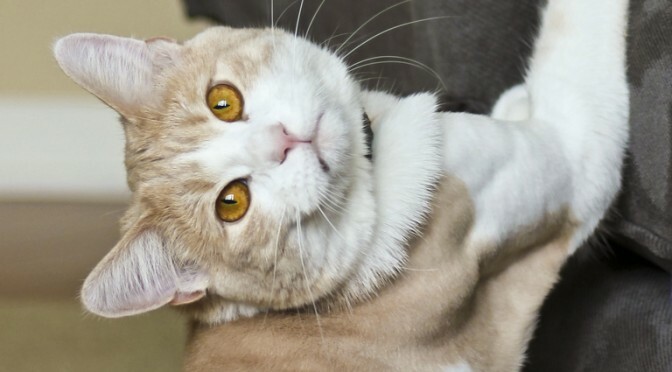 Or maybe you found a stray cat that you would like to foster for a while or even make this cat a member of your family. There are many other reasons to bring a cat indoors as it can help reduce fleas or any other issues or ailments that can happen with an outdoor cat. Transitioning an outdoor cat to become an indoor cat is not difficult but takes a little work at the beginning. An outdoor cat is used to having the vast outdoors as his or her territory so bringing a cat indoors is an initial adjustment. Below are some tips to help with the transition. Set up a big crate or space that is designated for your outdoor cat. For the cat who has never been litter box trained, it will be necessary to have your cat in a confined space if only for a little while. This is equally important if you have other indoor cats that might not get along with your outdoor cat. Make sure the area is large enough to have a litter box, resting space, food, water and toys. This should only be for a short time so your kitty can get used to what is hers and how to use the litter box. After your cat has adjusted to using the litter box, your kitty should be moved to a small room, like a bathroom. After she gets the hang of that, you can increase her space yet again. If she has a lapse, return to the last space the cat kept clean. Don’t forget to visit her often and release her for supervised affection during this initial confinement period. Also, once she has earned the free run of your home, make sure she isn’t tempted to use your potted plants as a litter box. Cover soil with aluminum foil or marbles around the plant. Litter box training is the biggest concern for most people. If the cat was ever litter box trained, she will likely fall right back into the habit. For the former indoor/outdoor cat, a two-box system filled with fine-grain, clumping litter works best. Place one where you want the litter box to permanently be placed and then put another transitional box at the door the cat once used to exit the house. When your kitty finds that she can’t get outside to do her business, he or she will use the litterbox by the door. After that habit is established, slowly move the transitional box closer to the permanent box. Once the litter boxes are side by side, you can remove one of them. An outdoor cat is used to running around all day and seeing all the outdoor activity. To make the transition smooth, it is important to make sure your kitty has places to look outside and toys to play inside. Window perches allow your indoor cat to keep an eye outside while safely basking in the sun. Toys are a must as are interactive play toys to keep your cat active and interested. To protect your furniture from a cat who’s used to scratching wherever she pleases, offer several kinds of scratching posts to determine her pleasure. Look for posts that are sturdy enough to climb. Cat tree furniture, which usually includes several resting platforms atop natural tree trunks or posts wrapped in sisal, is a kitty favorite. If you can place a tree near a sunny window or patio door, your kitty will feel like he is outdoors! You can even make your own cardboard scratch pads embedded with catnip are inexpensive and can be scattered throughout your home. 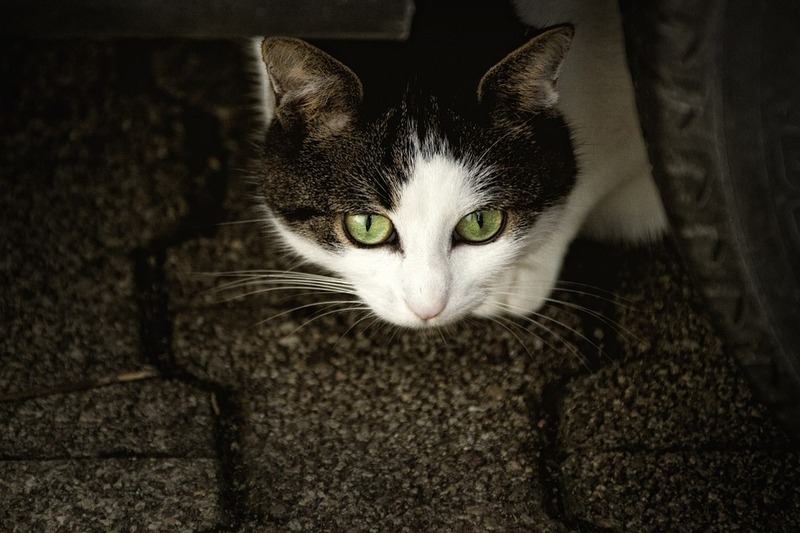 Your kitty is used to staying outdoors so don’t be surprised if he or she tries to escape. Make sure screens fit snugly in windows and cannot be dislodged by a persistent cat. Dissuade door-dashing by drawing your cat away from doorways before entering and departing your home. Roll a toy or toss a treat across the room to focus kitty’s attention away from the door. With a little time and effort, your outdoor kitty will love his new indoor home.